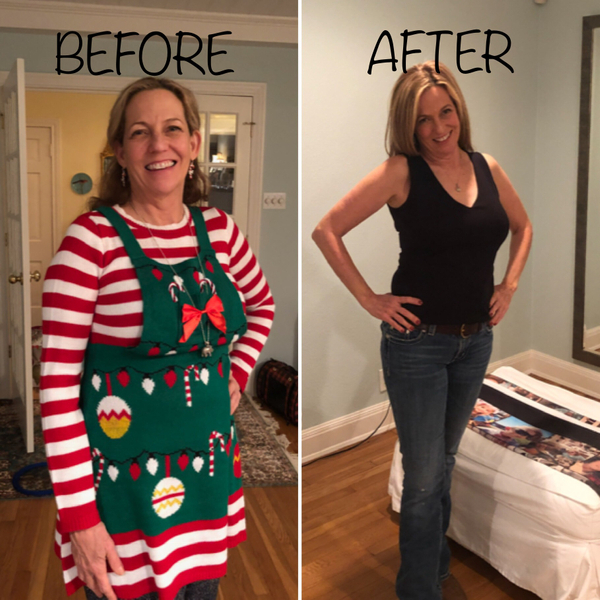 In honor of everyone’s hard work during the 2019 Reset & Rebalance (R&R) Challenge, we wanted to share and highlight a few of our client’s results. See how these women (at all different ages and stages of life) added in strength, cardio, and mindfulness and felt and saw the changes in their mind and body! Looking for more variety in your Dancers Shape classes? Check out the Pilates Small Group Equipment classes, Lift & Tone, Basic Spin, and more! At 62, I feel that the classes at Dancer’s Shape are perfect to build and maintain strength, balance and mobility for the future! I feel so fortunate to have found such a friendly, supportive and challenging environment to work out in. My boyfriend recently told me I had the body of a twenty year old! I know it’s a stretch, but I’ll take it! 1 - What was your goal for this challenge and did you achieve it? My goal was two fold. I wanted to add more exercise to my week. I love the rehabilitative barre class but I needed to add some cardio. The second goal was just to see what happened to my body after I took four to five classes a week for four weeks! 2 - How did you fit your workout into your hectic schedule? It was easy to fit classes into my schedule because there are so many different time offerings! 3 - How soon did you see or feel results? By three weeks, I felt so strong! I was able to do things in barre that I had really struggled with in the past. I could see the muscles in my arms and abs. It was amazing!!! 4 - What are your favorite classes & why? My favorite classes are rehabilitative barre and the cardio dance class (Groove & Glutes) Saturday mornings with Rachel. I love the barre class because it works every part of my body, especially these tiny muscles I wasn’t even aware of. And I love the work on the core; throughout the entire class! I don’t think there is any other form of exercise that challenges strength, balance, flexibility, and core like Dancers Shape barre does. It’s the holy grail of exercise! I love the cardio dance class because it’s fun and Rachel is adorable! I just love Dancers Shape. Everyone is so sweet and encouraging. And much care is taken to helping clients modify the exercises for their own limitations. Thank y’all for a wonderful experience!!! I want to thank you for holding the R&R Challenge! I've really enjoyed mixing up my routine the past month and I've experienced positive results. 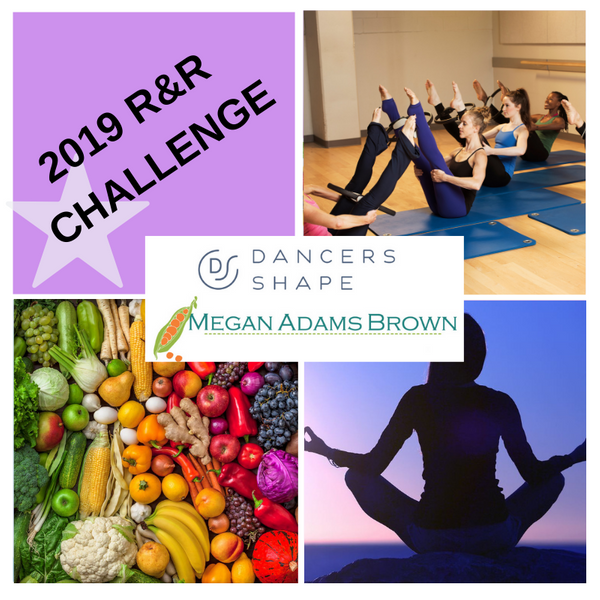 The R&R challenge encouraged me to try out Dancers Shape's mindfulness classes which I had never taken before. Participating in yoga, meditation, and recovery classes 1-2 times a week has been incredibly beneficial for me! These classes allow me to reset and in turn take more strength / cardio classes each week. For the first time, I've been able to do 2 classes in 1 day and I feel so strong! My goal for the challenge was to take more mindful recovery classes. I worked them into my routine and stuck to my new schedule. Turns out they fit right into the flow of what I was already doing! When I first started at Dancers Shape, I immediately felt like I was getting stronger with each class. I saw amazing physical results from my classes within 3 weeks. For the challenge specifically, I started feeling a lot stronger during the 3rd week. I realized I could take on more classes because of my new commitment to stretching and taking recovery classes! Can I say all of them? I've loved every DS class that I've taken! I particularly enjoy the split classes because I really feel like I'm getting the most of my hour. I always leave any spin class feeling more energized and empowered! I also really look forward to graceful classes and yoga / recovery classes because you can build them into whatever you need at that moment. My favorite change has been practicing yoga again. I have so much neck and back tension and it has helped tremendously. I like to participate in the challenges to be consistent in working out. This challenge pushed me to diversify the classes I take, which was needed. My workout is a priority, so I fit it in around everything going on in my schedule. My time at the gym goes into my calendar like all meetings and appointments & I try to come 6x a week. I have a lot of back and neck tension and adding yoga back into my routine helped the first week, which made me realize how bad I need to add it back into my schedule. I've been coming to DS for over 4 years now and started seeing noticeable results within a couple weeks. Pre and post having a baby it helped me build my strength, have better confidence and tone my body. 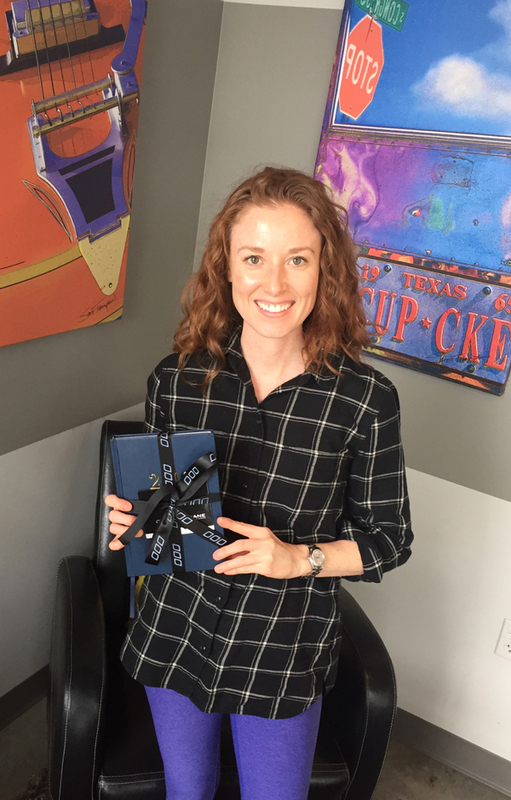 I love the community at DS, it's a highlight of my day to come here and it was such a bright spot in my life during my fertility journey a few years ago, the positivity helped me get through that hard time. Core and Express are my favorite classes. I like to mix it up with cardio and strength.